Diana Getsy-Holiday, CEO at The Phoenix Group – Advanced Addiction, has been selected to join the Nursing Board at the American Health Council. She will be sharing her knowledge and expertise on Behavioral Health and Addiction. With over four decades of experience in the field of Behavior Health and Addiction, Diana offers valuable insight in her role as the CEO at The Phoenix Group – Advanced Addiction. Located in Hollywood, Florida, The Phoenix Group – Advanced Addiction serves as a haven focused on helping individuals recovering from substance abuse including alcohol, drug addiction, and opioid addiction. Each treatment center combines the physical, mental, and emotional support to help stop addiction. As the CEO at The Phoenix Group – Advanced Addiction for over three decades, Diana’s day-to-day responsibilities include working with court mandated DUI/DWI individuals, in the outpatient facility, and individual/group therapy. 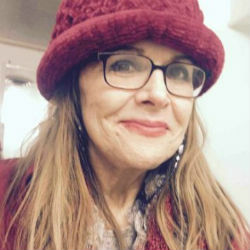 Following the completion of her Registered Nursing Diploma from Youngstown State University (St. Elizabeth Medical Center) in 1973, Diana earned her Master’s from Nova University. She holds the following certification: Certified Behavioral/ Chemical Dependency Nurse, Certified Addictions Professional, Certified Behavioral Health Therapist, Certified Clinical Hypnotherapist, and ICADC. Diana pursued behavioral health after a traumatic experience with an alcoholic family member. The experience made her realize she wanted to help individuals battling addiction and behavior issues. Looking back, she attributes her success to discipline, commitment, dedication, and a life-long love of learning. To further her professional development, Diana maintains a membership with Behavioral Health Advisory Council, Florida and Florida Certification Board. 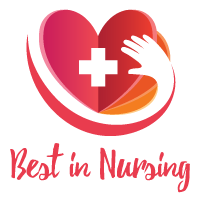 Due to her outstanding career, Diana gained recognition as the 2014, 2015 and 2016 Top 10 Nurses by the International Association of Nurses and was inducted into the Worldwide Leaders in Healthcare. As an accomplished artist, singer, and musician, Diana develops her art in her free time. She volunteers with Horizons Crisis Intervention and Art Therapy Yellow Brick Place – Ohio. Considering the future, Diana hopes to write grants and open a facility in Ohio. Advanced Addiction Treatment Center – The Phoenix Group is a treatment facility in Pembroke Pines, Florida which specializes in mental health and substance abuse services. They provide Outpatient options for those who enroll. It has programs catered for particular demographics, such as DUI / DWI offenders and criminal justice clients.